“Jabbar Internet Group has a history and experience in investing in success stories,” notes Hassan J. Saduzai, co-founder and CEO, eZhire. “Aligning with them has put us on the map; their experience and guidance will provide additional boost to eZhire,” he adds. Saduzai says that Jabbar Group’s reputation, and the “humble and very understanding attitude” they have towards portfolio entrepreneurs, excites him about the association. As for the investors, Samih Toukan, Chairman, Jabbar Internet Group, says in a statement: "We see huge potential in eZhire, they are truly redefining the way people rent a car. 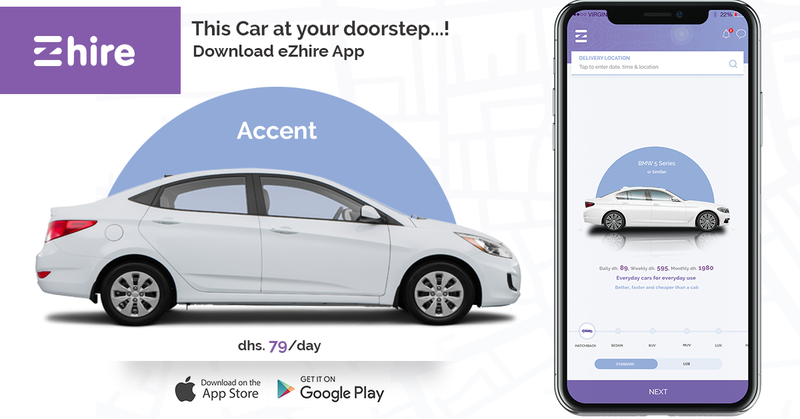 They are the first of its kind in the region, people really needed an easy way to get a car, and we believe eZhire is the answer to it." Launched in 2016 by Saduzai and co-founder Farhan Ali (also the CTO), eZhire lets you register yourself on a mobile app with required identity credentials, request a rental car of your choice, and get it delivered to you, without the conventional hassles of paperwork. Once done with your car, the user can also schedule car collection from the app, and get it picked up. “We had domain expertise in car rental, and we found it very confusing and complicated to rent a simple car. We believe that renting a car should be as simple as hiring a cab, and that's how the idea for eZhire was born,” explains Saduzai. As for the team’s fundraising experience, Saduzai believes that the founding team’s industry expertise, and the fact that eZhire has been revenue generating from an early stage, helped open doors for them. “Within a week’s time [of sending pitches] we got positive responses. Also, we didn’t dig too deep in the negotiation process.” The entire process went on quite smoothly, with Saduzai noting that in “2-3 months, the funds were transferred eZhire's bank account.” The entrepreneur is also thankful to the support they got (and continue to get) from regional ecosystem enablers including Dubai Startup Hub and in5 Dubai (where the startup is incubated).